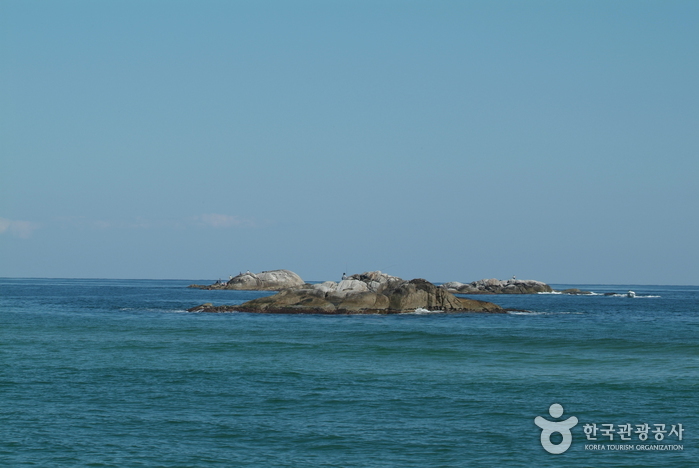 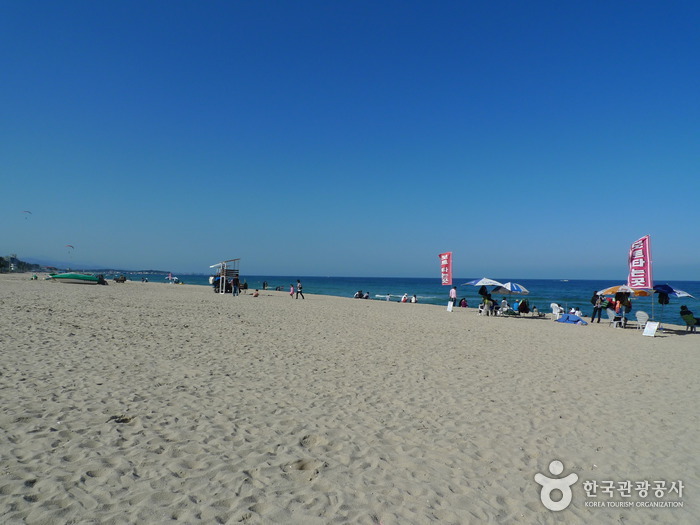 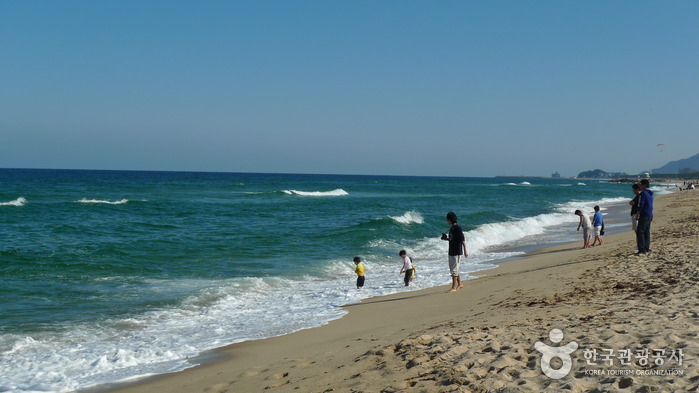 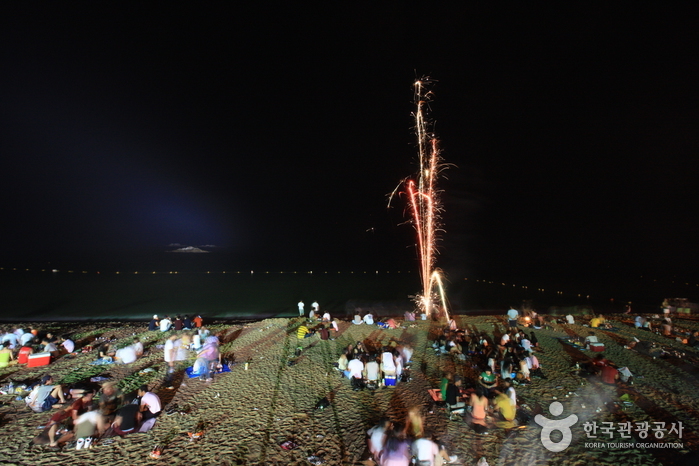 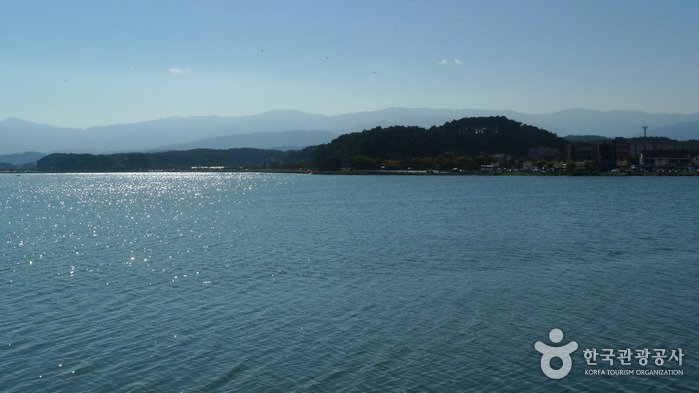 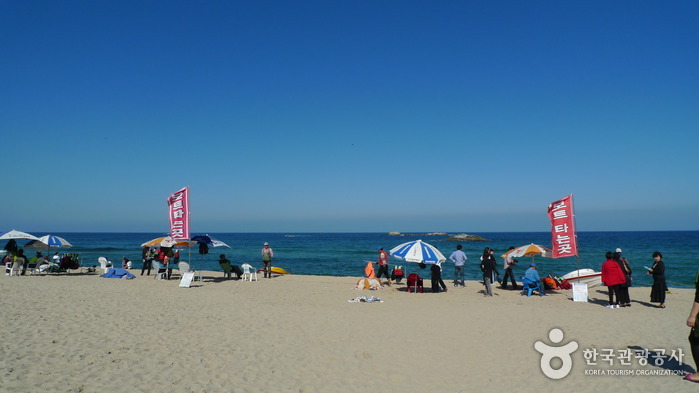 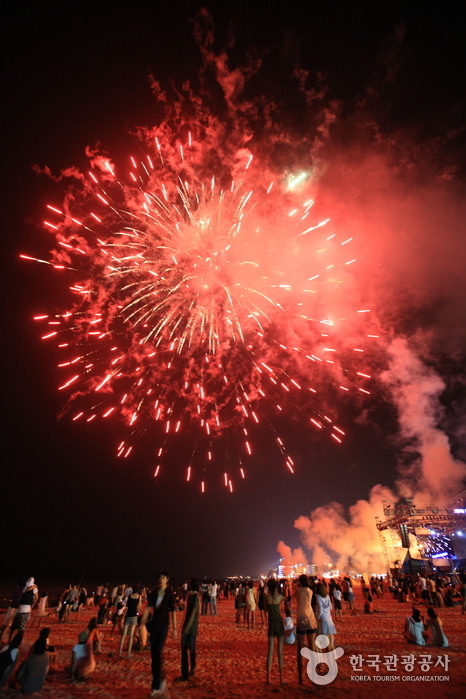 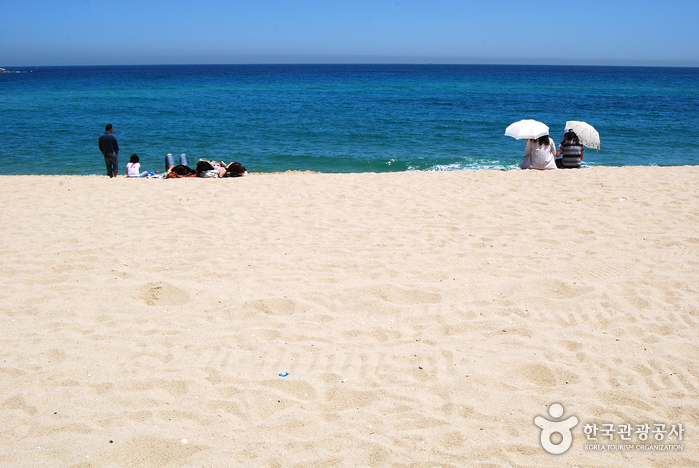 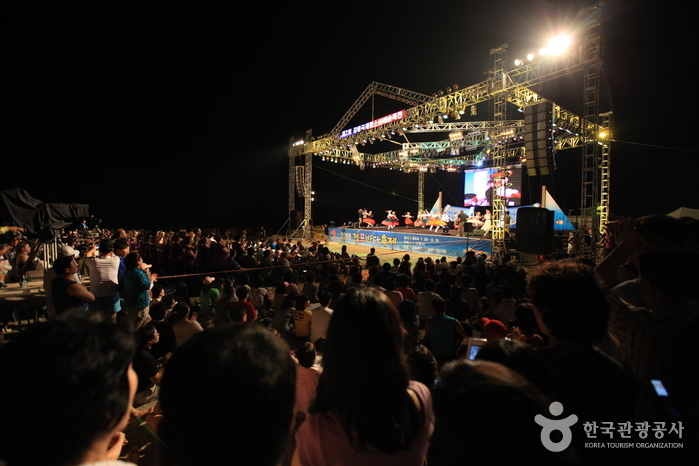 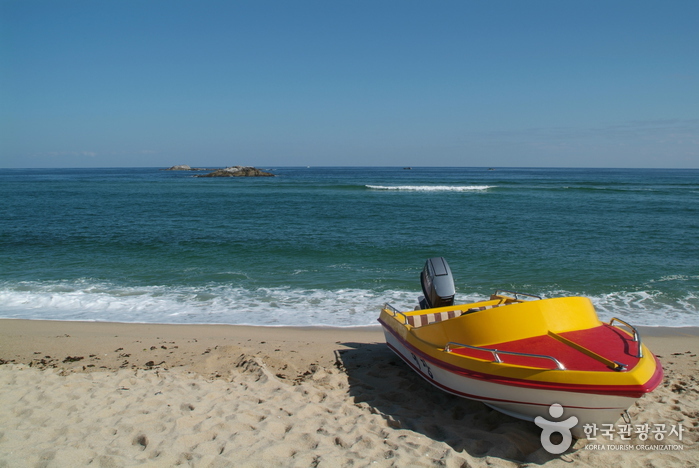 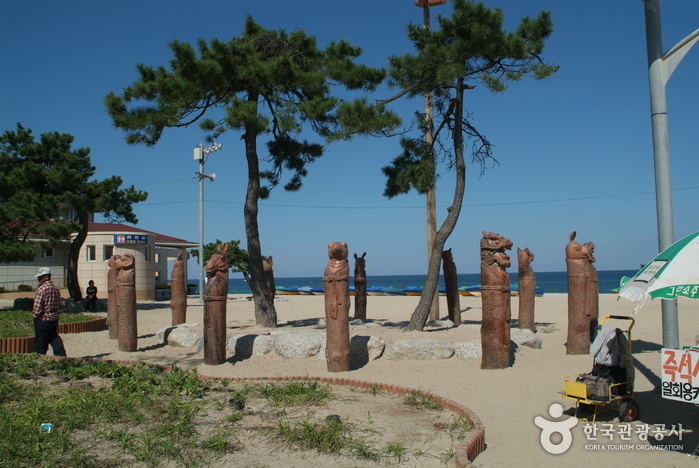 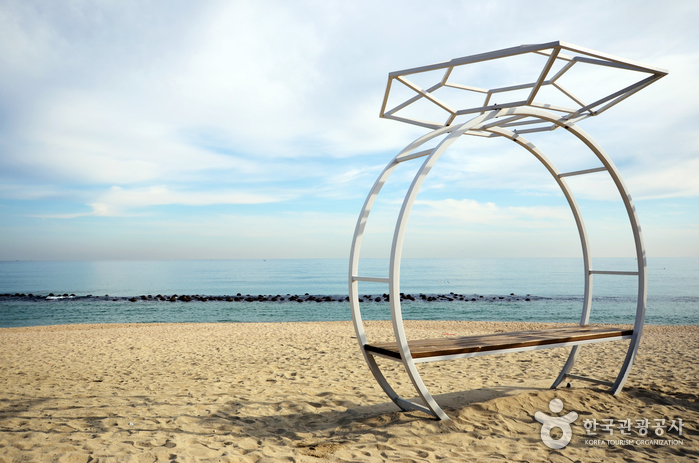 Located 1km away from Gyeongpodae, Gyeongpo Beach is a sand bank formed between Gyeongpo Lake and the ocean. 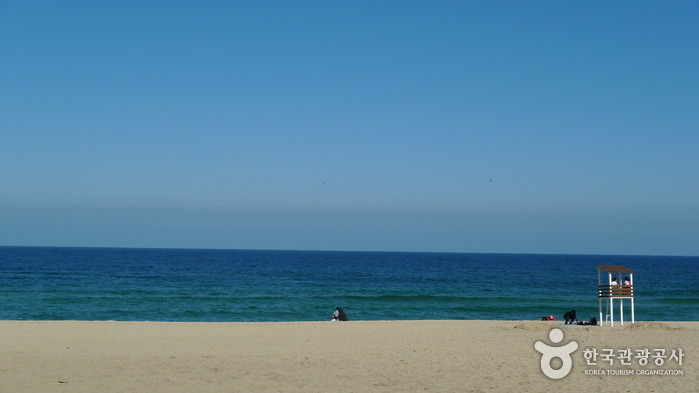 This beautiful beach extends to a length of 6 km and is covered with fine sand. 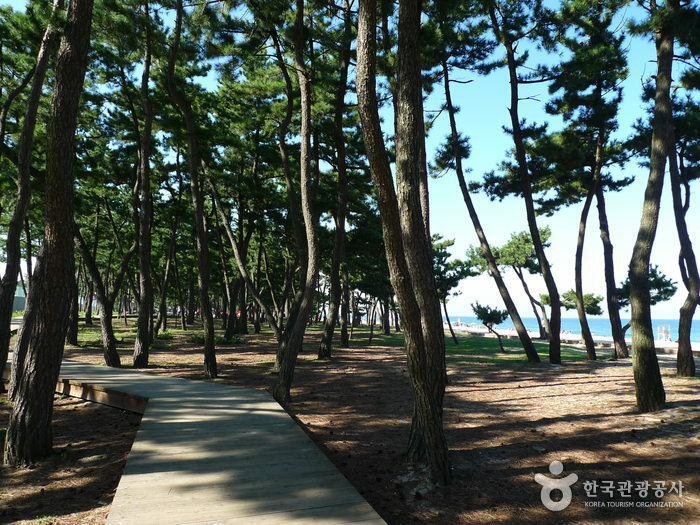 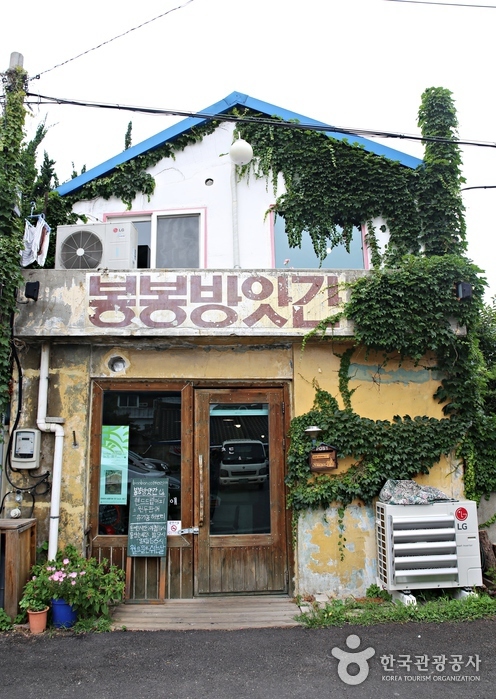 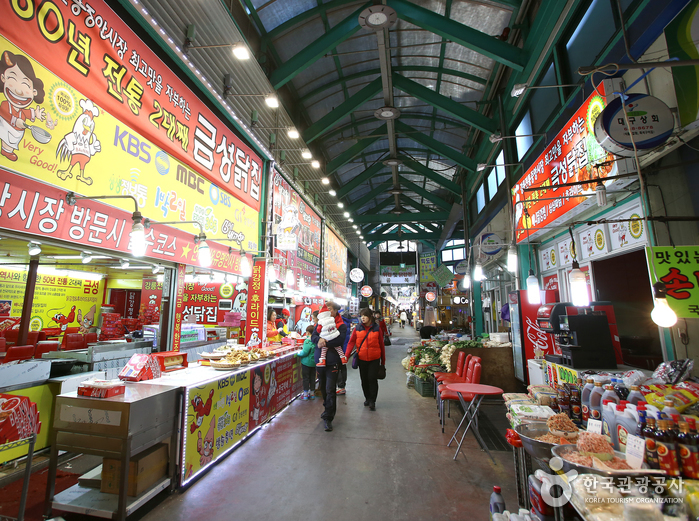 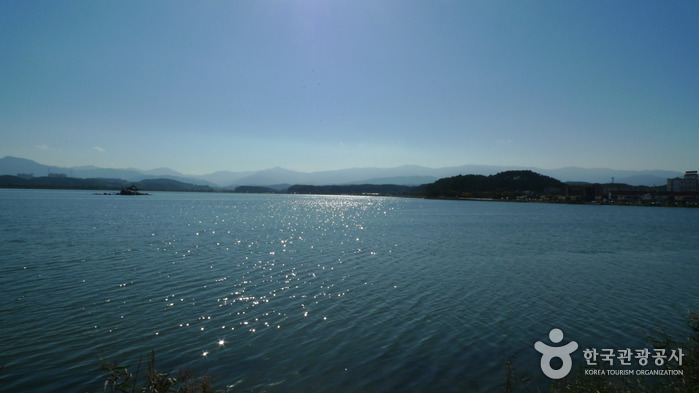 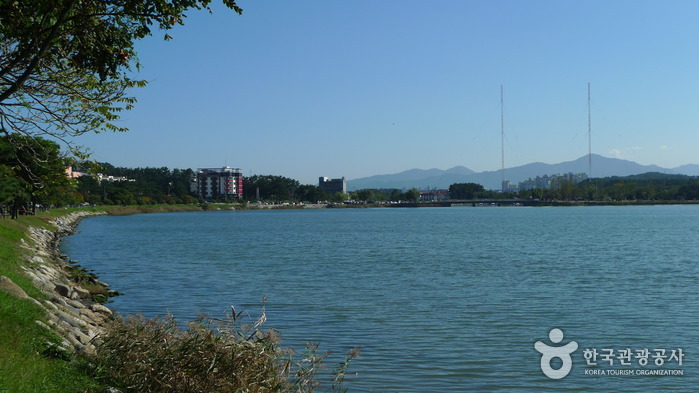 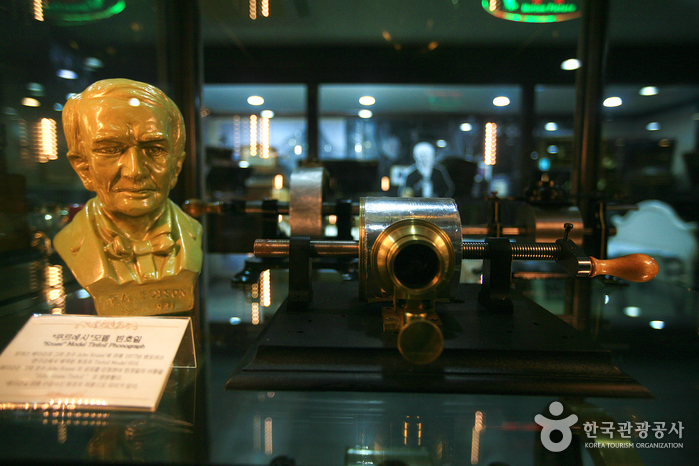 It is a very well-known tourist attraction within Korea: a flawless combination of nature and cultural relics. 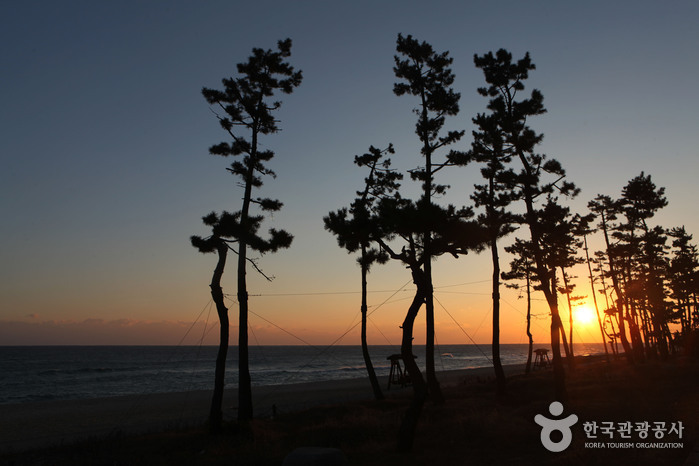 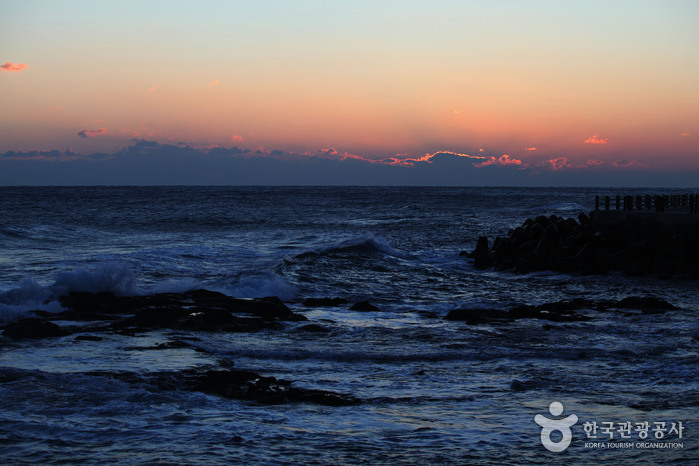 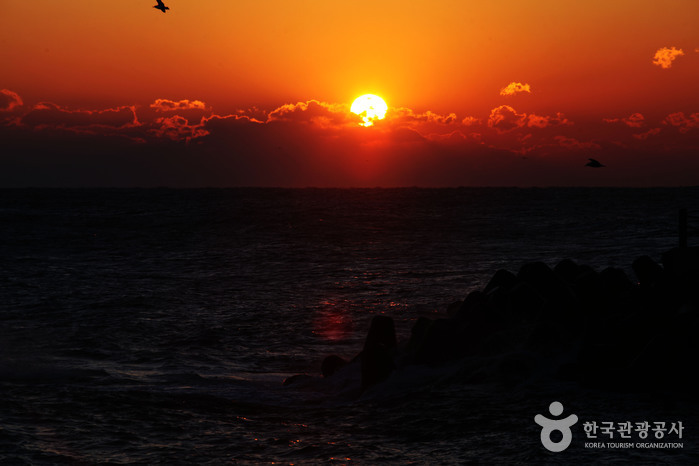 Gyeongpo Beach is famous for its picturesque sunrise and tranquil moonrise. 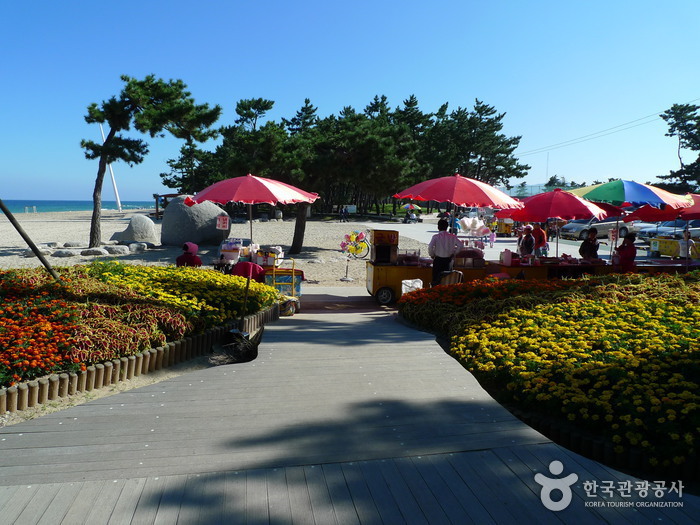 There are other nearby attractions in the area, like the pine forest (4 km) and wild roses, which grow in various areas around the beach. 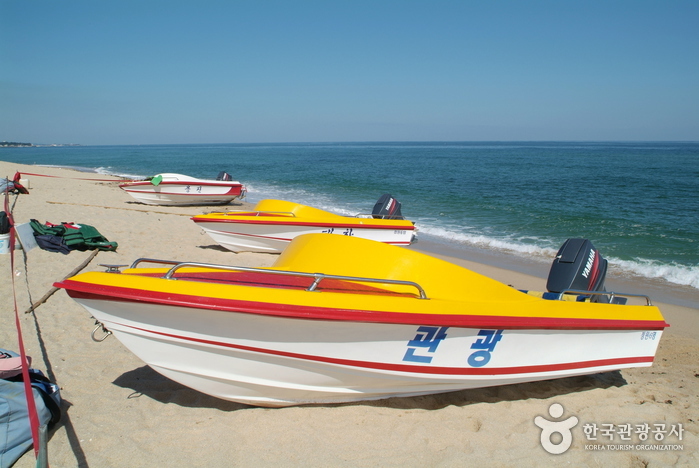 Those who enjoy ocean fishing can take a boat to the mall rocks just off the beach. 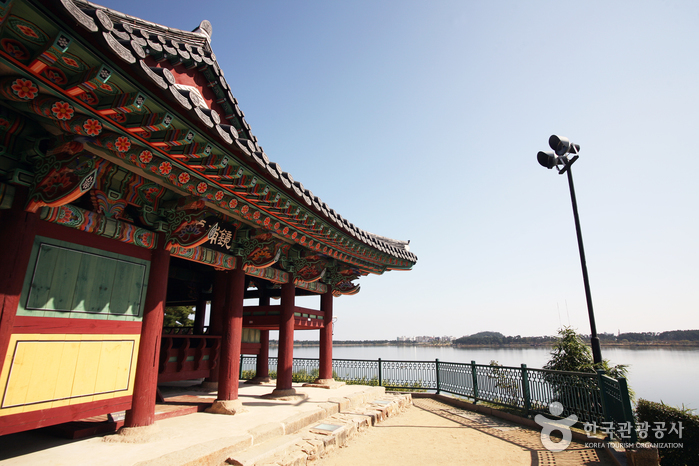 There is an endless line of tourists, who come to visit the ancient buildings with their incredible scenery, like Gyeongpodae and Ojukheon. 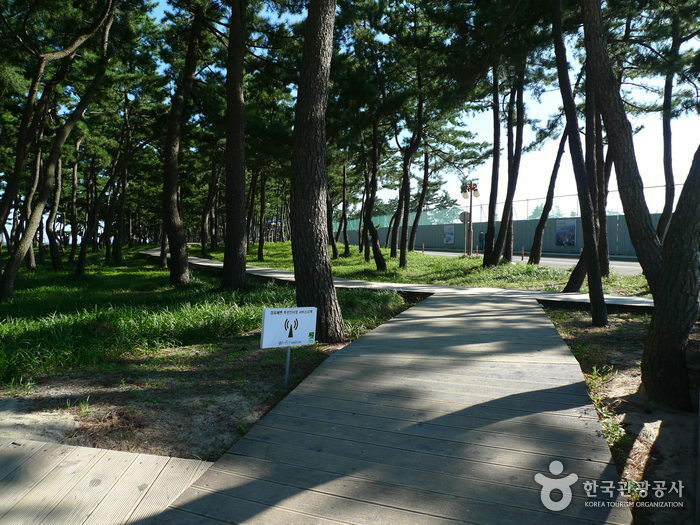 Restrooms, shower booths, changing rooms, parking lot, etc. 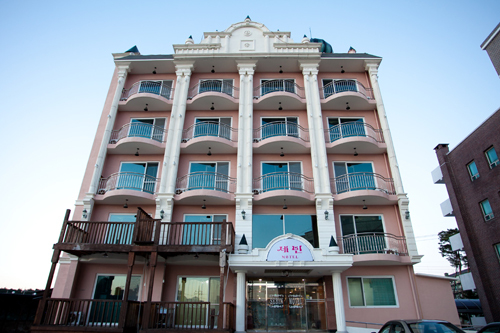 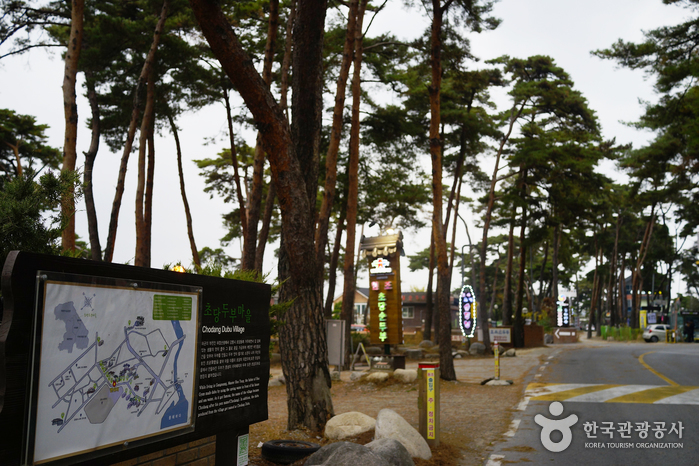 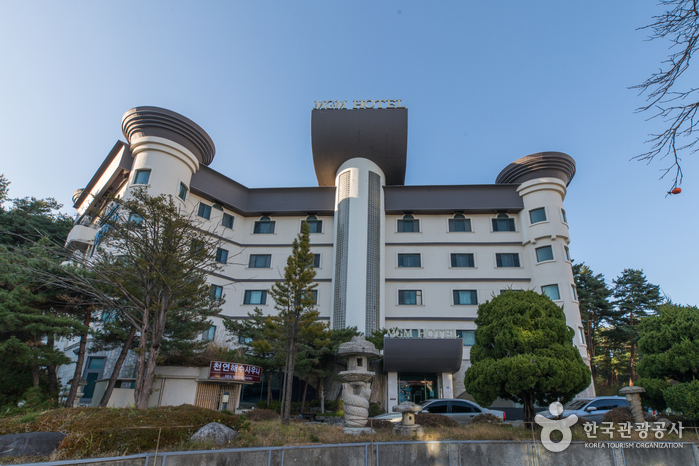 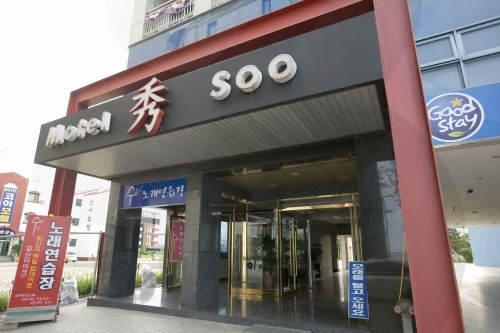 Take a bus from Seoul Express Bus Terminal to Gangneung. 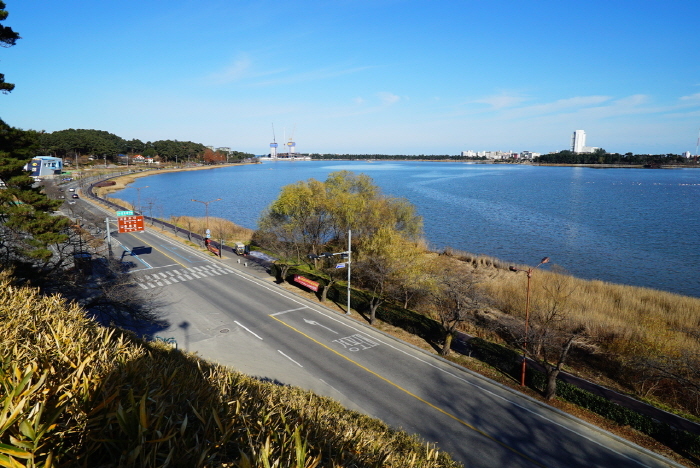 From Gangneung Intercity Bus Terminal, take Bus No. 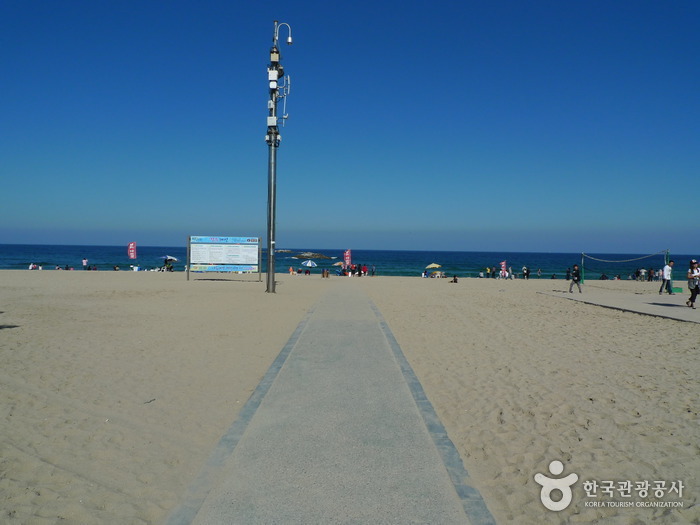 202 to Gyeongpodae Beach Bus Stop.